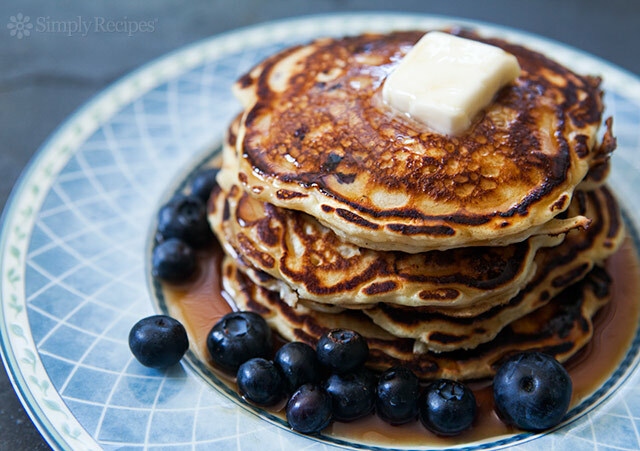 January 28th is National Blueberry Pancake Day! The first ready-mix food to be sold commercially was Aunt Jemima pancake flour introduced in 1889. Maine produces 99% of all the wild blueberries in the United States of which 90% are frozen. The world’s largest pancake breakfast was held in Springfield, America in 2012. It is widely believed that the tradition of pancake races began in 1445 in Olney in Buckinghamshire when a woman was making pancakes but lost track of time. The highest ever flip was performed by Dominic Cuzzacrea. The pancake reached a height of 9.47 metres at the Walden Galleria Mall in Cheektowaga, New York, USA, in November 2010. Today is January 28! It’s pancake time!